More and more Americans are discovering home meal kits, drawn by the comfort and fun of learning to cook better food at home. 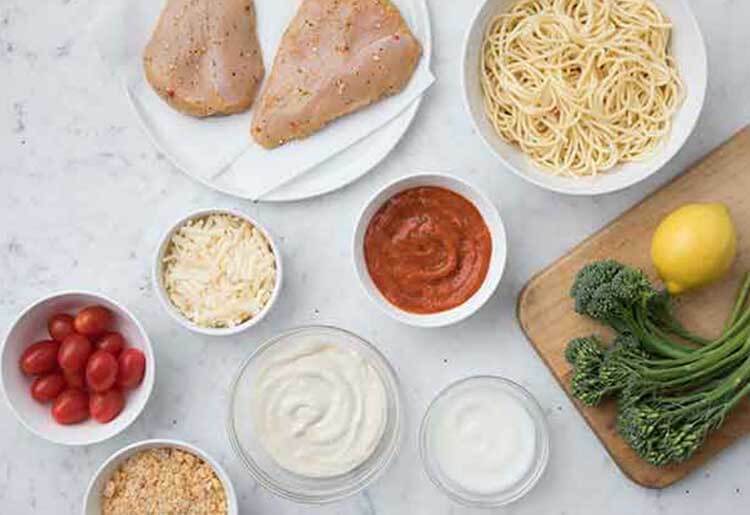 Estimated to be worth between $1.5 billion to $2.2 billion, the meal kit industry is attracting new, big-time corporate partners looking to capitalize on this growing market, with the tools to solve some of the inherent problems in the meal kit business model. While big-money partnerships can take some companies to greener pastures, there may be storm clouds on the horizon if more big companies decide to go into the meal kit business on their own, as typified by one fast food giant that threw its hat in the ring earlier this summer. 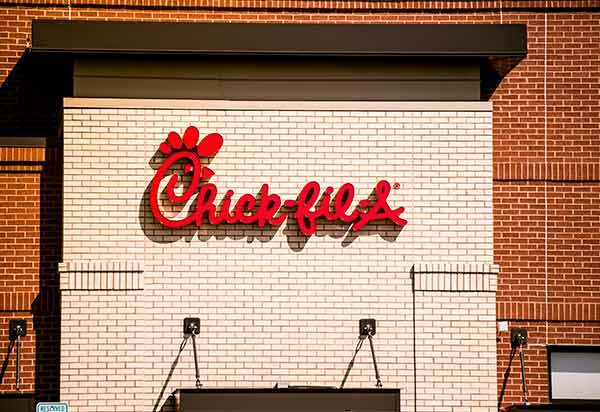 Beloved for its chicken sandwiches and waffle fries, Chick-fil-A announced in July that it would start marketing its own meal kit service, beginning at 150 restaurants in the Atlanta area in August. These “mealtime kits” are sold at the restaurants and don’t require any sort of subscription—just pull in or drive up and take the kit home to your kitchen. The chain is starting out with 5 meal kits developed by Chick-fil-A chef and Atlanta restaurateur Stuart Tracy. The meal kits all feature pre-portioned ingredients and are supposed to take around 30 minutes to prepare. The recipes—for now—include chicken flatbread, crispy dijon chicken, pan roasted chicken, chicken parmesan, and chicken enchiladas. 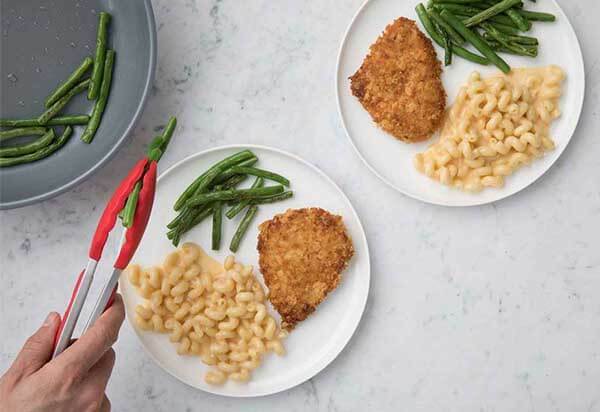 Each mealtime kit serves 2 people, and costs $15.89. This comes out to almost $8 per serving, which is comparable or even cheaper than most meal kit companies, which tend to cost around $10 per serving. This is largely because the meal kits aren’t shipped out, so Chick-fil-A can pass those savings on to customers. 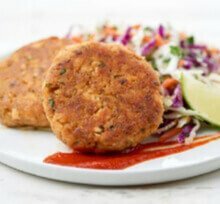 Unlike the meal kits sent to customers homes, these do not come with freezer or ice packs and customers are encouraged to take them home and either refrigerate or prepare them right away. This also means far less packaging, so if you’re an eco-friendly consumer, this should be an added incentive. This one is a no-brainer really, combining 2 of our favorite things - perfectly-cooked chicken and premium parmesan. The box comes with pre-cooked pasta, marinated chicken breasts, garlic alfredo sauce, tomato sauce, tomatoes, broccolini, and parmesan panko crumbles. All you do is coat the chicken breasts in yogurt and panko crumbs and pan fry in a skillet, cover in sauce and cheese and bake in the oven. Saute the broccolini and tomatoes, throw it on the plate and get ready to dig in. This dish combines marinated chicken breast, potatoes, broccoli, kale, roasted nut blend, cherries, and apple cider vinaigrette. It’s all quite easy—just halve the potatoes, add oil and salt and bake them. Pan fry the chicken and then add the sauteed broccoli and kale, place in a bowl add vinaigrette, cherries, and nuts, and you’re all set. In an article in NPR in August, Chick-fil-A’s Michael Patrick expands on this pitch, saying “tonight you're not going to go home and go, 'You know, what am I going to have next Wednesday?' Eighty percent of customers are figuring out what they're having for dinner [that night at] around 4 o'clock. We're solving that 4pm problem." To put it differently, Chick-fil-A is banking on the idea that customers will come to their locations to eat, and end up buying 3 meals instead of 1. The Chick-fil-A foray into the world of meal kits is still new, and it’s yet to be seen how successful it will be for the company and what effect it will have on the meal kit industry as a whole. 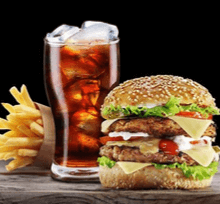 Regardless, this initiative indicates the extent to which major fast food chains—just like retail and grocery chains—are interested in this emerging market, and are ready to capitalize on the growing desire for home cooking centered on premium, fresh ingredients. Though the meal kit industry is largely associated with companies like Blue Apron, recently a number of major food and retail companies have taken steps to get in on the action. And unlike Chick-fil-A, which has launched its own meal kit service, these juggernauts are partnering with pre-existing food kit companies. 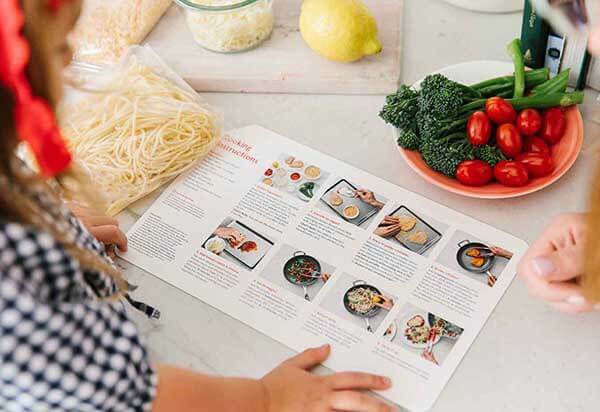 In September 2017, grocery giant Albertson’s announced that it had acquired Plated, a leading meal kit service known for producing some of the most high-quality, premium meal kits on the market. The Albertsons acquisition was followed in May this year by news that Costco will start selling Blue Apron meal kits at a discount of nearly 30% off the company’s subscription service. These recipes will tend to be less complicated than the subscription ones, and will take less time to prepare, Blue Apron senior vice president Tim Smith said when the partnership was announced. Meanwhile, this week it was announced that Blue Apron’s stock price had hit its lowest-point ever, a drop that has largely been linked to news last June that Amazon is entering the meal-kit business. Part of the problem with the business model of meal kit companies is that the high cost and logistical issues of delivering premium ingredients leaves these companies with slim profit margins. Meal kit companies have to build—from scratch—a distribution system from farm to warehouse to the customer’s table. This is a major hurdle to overcome, but big grocery chains like Albertson’s give meal kit companies the services of a storefront business to sell their product, and the logistical ability and know-how to make it all come together. 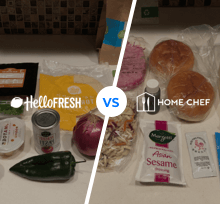 Through these partnerships, meal kit companies can reach more customers in more places than ever before, and see their profit margins increase. For consumers, this means that in the coming years we will almost certainly see more acquisitions and partnerships, as major companies realize that with their logistic abilities and capital, they can overcome the problems that are cooked into the meal kit business model. This could mean that the meal kit industry moves from being based on products sent to your house and more heavily reliant on storefronts where major companies like Albertson’s can sell them. This would reduce some of the convenience of using meal kits, but it would also mean that the industry has a better chance of thriving, and that less meal kit companies will fold in the face of daunting obstacles.